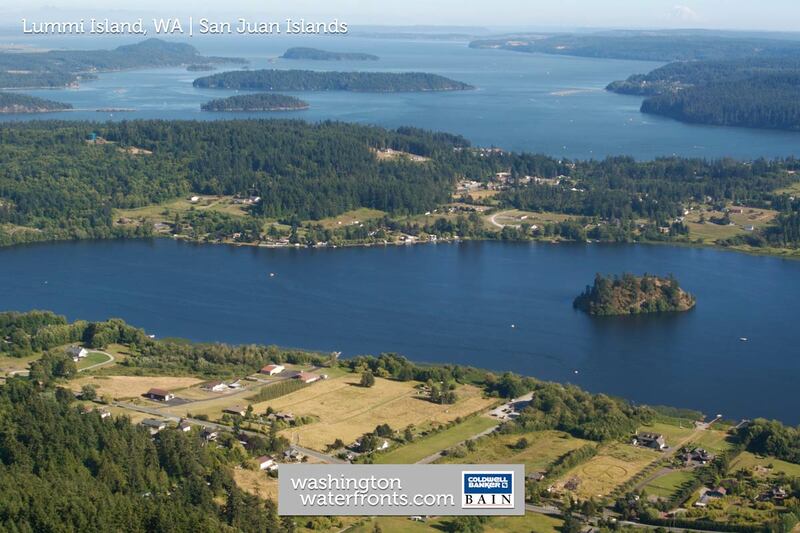 Lummi Island has often been called one of the best kept secrets in the San Juan archipelago, due to its accessibly less than 20 minutes from Bellingham, situated between mainland Washington and the major islands of the San Juans. The Lummi Indian Reservation sits on a peninsula east of the island, which residents drive through before or after the six-minute ferry passage, but it doesn’t include Lummi Island itself. Lummi Island waterfront real estate owners enjoy an easy commute to city amenities, employers and the like, yet can look forward to coming home to a half-rural, half-mountainous island with peaceful beaches that most only ever get to vacation on. Activity options on land and in the water on Lummi Island are practically endless, and Lummi Island waterfront homeowners will have all of those fun pursuits available right from their own front door, including kayaking, sailing, clamming during low tide and watching for whales that can often been swimming just offshore. The nearly 20 miles of country roads are ideal for walking and bike riding, and beachcombing brings the chance to discover glass floats and agates while watching the bald eagles soar above and the otters float by in the surf. While enjoying your Lummi Island waterfront real estate means being surrounded by nature everywhere you look, you’ll still be able to access a number of facilities nearby. There are multiple services available including two full-service restaurants, a country store and espresso shops. The island also hosts a farmers market in the summer that’s great for picking up fresh, organic produce as well as live crab and prawns. Even in the chillier winter months, owning Lummi Island waterfront real estate is a treat, with excellent storm watching from November through March. You’ll be able to watch the water pound the shoreline, enjoying the sights and sounds right from the comfort of your own home. Take advantage of our industry-leading tools to make your property search as easy as possible and be sure to register for a FREE account so that you can receive email alerts whenever new Lummi Island waterfront real estate for sale hits the market. If you're seeking to sell your Lummi Island waterfront property, contact our Waterfront Specialists directly for a comprehensive listing analysis and to learn more about the cutting-edge marketing strategies we'll use to sell your home quickly for top dollar!